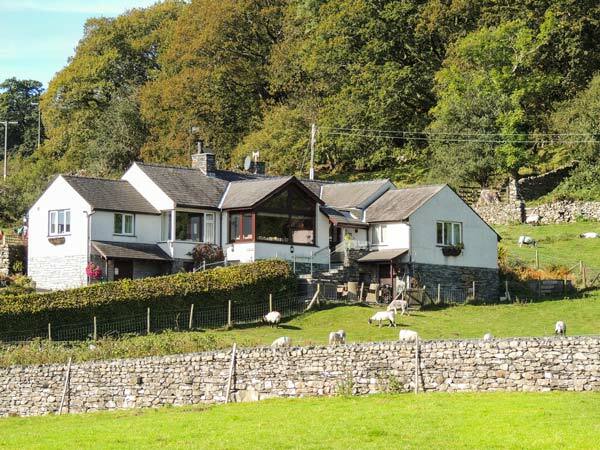 Browside is a detached, single-storey cottage with superb views towards Coniston Water. The cottage has six bedrooms, two king-size doubles, one double, one twin, and two family rooms, five of which have en-suites. There is also a family bathroom, along with a kitchen with dining area, separate dining room, and a sitting room with woodburning stove. 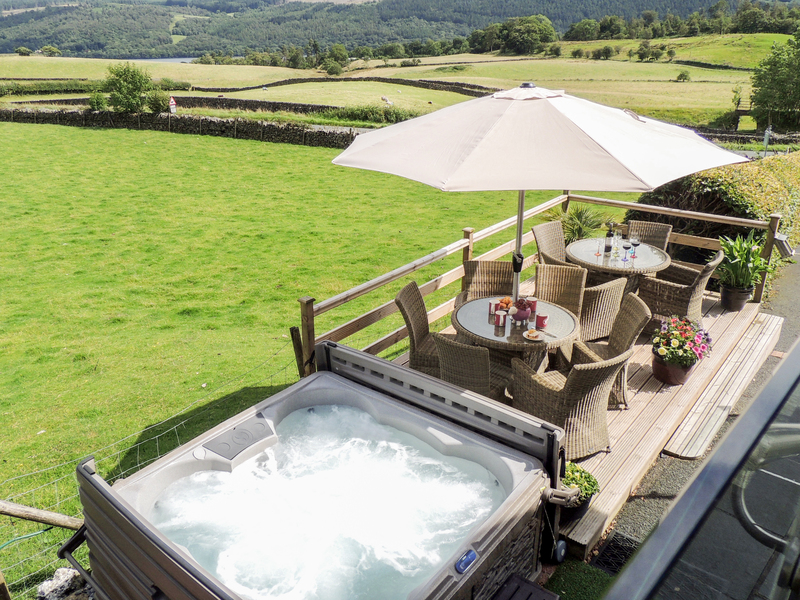 Outside is ample off road parking, and an enclosed garden with furniture, hot tub and a bbq. Browside makes a great family base for enjoying the walking and scenery of this beautiful area. Oil central heating with woodburning stove. AGA range cooker, electric double oven and hob, microwave, fridge/freezer, washing machine, tumble dryer, dishwasher, 7 x TVs with Freeview, DVD, WiFi. Fuel, power and starter pack for stove inc. in rent. Bed linen and towels inc. in rent. Two travel cots and two highchairs on request. Off road parking for 6 cars, additional parking in lay-by along road on first come, first served basis. Enclosed garden and patio with furniture and hot tub. Bike storage with wash-off area. Charcoal BBQ.Two well-behaved dogs welcome. Sorry, no smoking. Shop 2 miles, pub and Coniston Water 10 mins walk. Note: This property is not suitable for hen/stag or party groups Note: Garden is enclosed but children and dogs should be supervised. Note: Hot tub available until 10pm. Note: 4pm check-in. Note: WiFi can be limited in the area. Note: AGA available November to March inc. Note: Property accessed by 9 external steps. Note: Owners live next door. Note: Dogs must not be left unattended in the property.